Kite maker Wang Naixin displays one of his creations in his Beijing home. 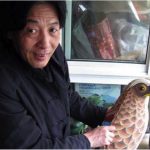 Wang has been making the intricate kites by hand for about three decades. BEIJING – As birdsong sails through the open windows of his cramped apartment in south Beijing, Wang Naixin is bent over a Bunsen burner bending bamboo. “The wood has to be flexible,” he says, not looking up. “But it also has to be durable.” He’s holding one end of a bamboo strip with his finger tips – the other end with a pair of needle-nose pliers, gently sliding the strip back and forth through the flame. 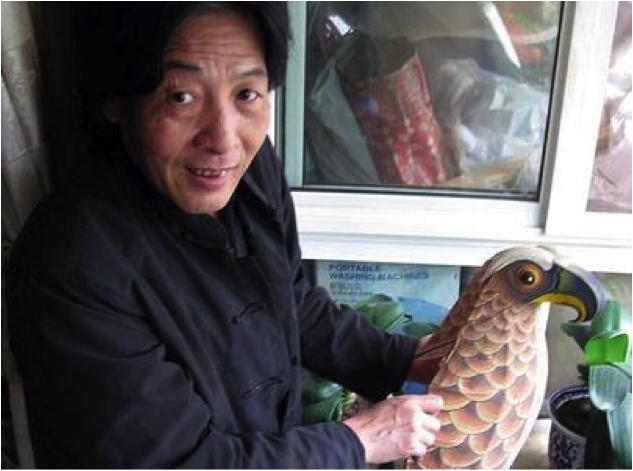 At 55, Wang is one of Beijing’s most respected kite makers. He’s explaining the yin and yang of kite making as he learned it from one of China’s greatest kite-making legends, the late Liu Hanxiang. Wang was his pupil for 25 years. Amid the boom and bustle of an ever-expanding China, here and there in small pockets of Beijing, the country’s folk arts – and philosophy – endure. But you have to hunt for them. Wang is a leading exemplar of a craft that is growing ever more rare in the big city: the authentic, whole-made, handmade kite. You can buy assembly-line kites in China by the thousands. But there’s no assembly line here: Wang’s home and studio is a workshop of one. He builds all his kites from start to finish. With a closet full of bamboo from Sichuan and a supply of silk from Huzhou in Zhejiang province, Wang is at his work table every morning. It takes seven days to build a hunting hawk-style kite from start to finish – 21 days or more to craft more complex kites. He hand-paints each one: birds and beetles, butterflies and fish. Each kite is a unique object of beauty – and Wang hates to part with them. He will only sell about 10 per year. His admiring grey-haired mother sits nearby, drawing thoughtfully on a cigarette. One gets the impression she wouldn’t mind. He recently turned down about $200 for one of his creations. Wang’s small apartment boasts more than 250 kites, many with detachable wings so that they may be folded and stored in boxes. Included in that number are more than 100 classic pieces bequeathed to him by Master Liu. Wang had planned to exhibit the collection on a sponsored trip to the United States this year, but the financial crisis put an end to that, he says. The world has long associated China with kite making: the Chinese invented them 2,500 years ago. Ancient texts say the first were fashioned during the Warring States Period, dating back to 475 BC and used for military purposes. Legend has it the first kites resembled modern-day hang-gliders – big enough to carry men – and that men were sent aloft to observe enemy movements. When 6th century Emperor Wudi was surrounded by rebels, historians say he issued an SOS by sending up a kite. But it wasn’t until the Tang and Song dynasties, following the invention of paper, that kite making took off as a popular pastime. Over time, kite flying has become known as a way of banishing bad luck, and kite designs also carry symbolic meanings: tortoises for long life, bats for good luck and the dragon for power and prosperity. Like most men in China, Wang took to kites at an early age. But the real thrill came with making your own, he says. “Seeing something you made sail up into the sky – that was a real sense of accomplishment as a child,” he recalls. But still, that was child’s play. It wasn’t until a wintry day, when he was a young man, that he met his master. Kite flying had been suppressed for much of the Cultural Revolution as it was seen as “old culture,” and Mao Zedong had commanded that “old culture” be done away with. But 1979, three years after Mao’s death, saw the first kite festival in China since 1949 at Beijing’s Summer Palace. Out on the lake one of Master Liu’s sons introduced him to his father, by then a well-known kite master. Wang was moved by the meeting and for the next 25 years, until Liu died, Master Liu was his mentor. “As his student, I feel a responsibility to pass on his knowledge and techniques,” Wang says. But as China grows ever more modern, Wang has yet to find an aspiring student to whom he can pass the torch. VISTA —- A new crop of public art has emerged in downtown Vista, just in time for Sunday’s Vista Village Chocolate Festival and Street Fair. Eight large, “kite-related” sculptures were put on display over the last couple of weeks, the second installment of “Kites over Vista,” a year-long public arts exhibit. The exhibit is modeled after the city of San Diego’s Urban Tree public art program in which the potted tree sculptures aren’t really trees, said Bill Fortmueller, Vista’s assistant director of recreation and community services. In Vista, the sculptures either “resemble kites or have wind motion in them,” he added. The 20-foot high “Flock of Kites” features a spinning group of kites that look something like white-tailed hawks. 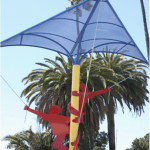 Artist Robert Rochin of Vista said that the man-made, stringed, flying kite was actually named after the species of bird that is spotted throughout the year in Vista. The installations drew quite a crowd Friday afternoon, including City Councilman Bob Campbell. “My daughter is going to be so excited when I bring her down,” said Kim Crawford of Vista. Calls went out last December for three-dimensional submissions for the 2009 contest. Entries came from all over California and as far away as New Mexico. The City Council then approved the final selection. This year’s winner, who each receive a $1,250 honorarium for displaying their piece for 12 months, include “Flock of Kites;” “Dance of the Butterfly” by Charles Bronson of Vista; “Mirro Kite” by Mindy Rodman and Paul White of Oakland, CA; “Calder Revisited” by Buddy Smith of Vista; “Magic Kite Ride” by Robert Maya of Encinitas; “Wind Goddess” by Melissa Ralston of Escondido; “Kite of Paradise” by Benjamin Lavender of San Diego; and “Round and Round We Go” by Josh Bowman of Vista. Two are staying downtown. 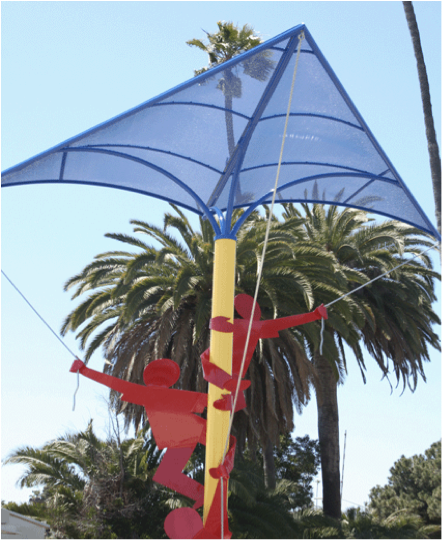 “Big Blue Kite” was purchased and donated by the Vista Art Foundation, and an anonymous donor bought “Joy Figure.” Alta Vista Botanical Gardens has secured two kites, Breeze Hill Park will feature another, and the artist of the final piece is in negotiations to donate her piece to the Vista Academy of Visual and Performing Arts. The new sculptures will officially be unveiled at the Vista Village Chocolate Festival and Street Fair, which will run from 11 a.m. to 6 p.m. Sunday. It will feature several kite-inspired activities, and the artists of the new sculptures will be on hand Sunday to talk about their pieces. The San Diego Kite Club will display and demo kites throughout the day. Children and adults alike can register at the nonprofit Vista Art Foundation booth or make their own kites for $5, which will benefit the group. At 2 p.m. there will be a kite parade on the Vista Magnet Middle School’s track area. Attendees can watch as local artists make additions to the DuraPaint building “kite mural” at the corner of Main Street and Citrus Avenue. As in the past, the free event will also feature live music, street vendors, a food court, “kid’s zone” with rides —- and, needless to say, lots of chocolate. Visitors are encouraged to take the Sprinter train —- the stop is only two blocks from the event. More information can be found at www.vistachocolatefest.com. ScienceDaily (May 28, 2009) — Tensairity elements made of air filled membrane assemblies, rods and cables have already made a name for themselves in the construction world as extremely light yet strong load-bearing structures. 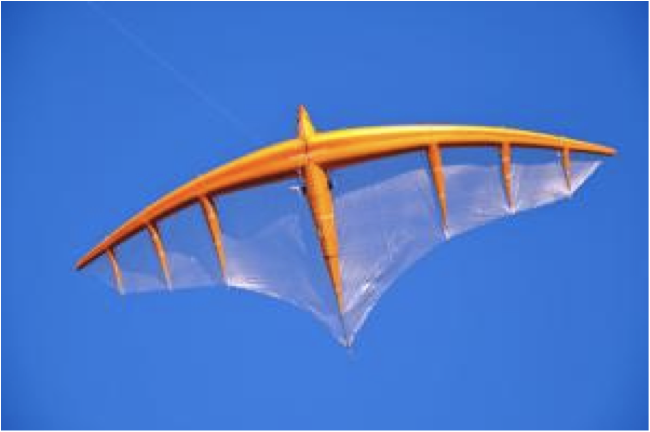 But is this new technology also suitable for use in the aerospace industry, for example to create novel wings for kites? Empa researchers are currently pushing back the envelope in this field, and are also demonstrating their first flying models. Ultra light wing structures for kites are not just attractive for sport and hobby users but are also of interest to engineers, for example in applications such as towing kites which take advantage of wind energy to provide additional propulsion for diesel powered freighters, pulling them across the oceans. In this case the kites are intended to help shipping concerns to reduce their high fuels costs. They can also be used for other applications involving the exploitation of wind energy, one idea being to allow a kite to climb to a height of several kilometers, while up pulling a line wound around a drum. As the drum rotates to pay out the line, it can be made to generate electricity. When it reaches its target altitude the kite’s wing-area is somewhat reduced causing it to descend, following which it begins a new climb phase and once again generates electric power. This is a fascinating field of application for ultra light structures, because in order for the kite to utilize the wind’s energy efficiently it must have a large wing area. Rolf Luchsinger, head of Empa’s “Center for Synergetic Structures,” and his team wanted to make use of a demonstrator device to find out where, from an aeronautical point of view, the limits of the technology lie, and whether a Tensairity kite would offer any particular advantages. Brainstorming together, Luchsinger and a member of his group who had previously studied aerospace engineering came up with several ideas for suitable shapes and sizes. Based on these ideas a series of models were developed with steadily improved aerodynamic and static characteristics, shown by laboratory tests and computer simulations. The slimmer and more stable the air-filled wing spars, the more efficiently the kite climbs and therefore the better its pulling power can be harnessed to generate electricity. The biggest Tensairity kite which Luchsinger’s team has developed so far has a span of 8 meters and a surface area of 11 square meters, and has undergone numerous load tests in the laboratory. With a weight of 2.5 kilograms it is designed to generate a tensile force of 1000 Newtons, and could in theory climb to an altitude of 4000 meters. After the extended design phase and subsequent construction of the demonstrator kite, the researchers were keen to try out their baby. How high would it climb to? Would it generate the calculated amount of power? And – not to be forgotten – would it return to earth in one piece after its maiden flight? The first tests under the open sky made by the Empa scientists were at a disused military airfield in the Bernese Oberland, where the kite was towed behind a car at a height of 50 meters along a one kilometer long course. Luchsinger was happy with the outcome of this initial trial. “Our system works, the Tensairity kite is capable of generating the power we expected.” Now the researchers are already thinking about their next vision – a kite with a span of up to 30 meters whose internal structures are filled with helium, so that even if the wind dies it would still stay aloft. 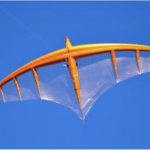 The novel wing concept is not just suitable for making kites, however. It shows potential for applications in sports and in the unmanned aerospace field. It could also conceivably be used as a communication platform. In this conceptual application a kite platform (HAPS, “High Altitude Platform System”) flying at great altitude would act as a relay station for radio and telephony signals instead of a satellite. In breezy air: the Tensairity kite during towing tests at Duebendorf airfield. Blue skies and a strong breeze made Friday an ideal day for kite flying, and some residents made the most of it. People gathered en masse behind Autry Technology Center, where Stillwater residents Richard and Marti Dermer were preparing to film an instructional video about kites. Marti Dermer worked to get a large, Japanese-style kite into the air, while Richard tried to see if the wind would take his box kite. Both are gearing up for Enid’s Sept. 10 attempt at a Guinness World Record for the number of kites in the sky at one location. Richard expects the city will get 1,000 kites up in the air — and the field behind Autry Tech is the perfect place to do it. “I certainly think it’s big enough,” he said. The Dermers and others still have to nail down the final details, but the field should be big enough so each person will get 10 to 20 square feet to fly his or her own kite. The kites themselves can be any shape or style during the world record attempt; however, one specific type is suggested: The Frustrationless Flyer. The Flyer is a relatively small kite, usually around 30 inches wide and 24 inches high. It also is light and flies perfectly in wind speeds of 5-15 mph. Catherine Gabrel, of Stillwater, owner of her online kite store, Kites in the Sky, is the official provider of Frustrationless Flyers for the world record attempt. She spent the early afternoon Friday behind Autry helping people fly their kites. Gabrel is confident Enid can set the record. “I think if we can get everyone out here, we have a real chance,” she said. The Dermers and Gabrel are going to work to distribute Frustrationless Flyer kite kits to school children when classes are back in session, so they can learn and participate on Sept. 10. In between now and then, sessions may be set up to further instruct residents of all ages in kite flying. Richard Dermer says American Kitefliers Association will work to promote the event as the time draws near. Dermer himself was president of the organization from 1997 to 1999, and is now first vice president. Besides coordinating practice runs and demonstrations, Dermer also wants a 20-foot control tower to be erected next to the field. The control tower, he said, will be helpful in announcing instructions to the more than 1,000 volunteers in attendance. The world record attempt will be a fundraiser for Enid Habitat for Humanity. WHITEHORSE — Somewhere in the icy Arctic terrain of the world’s largest island, a pair of Yukon adventurers are gliding toward the final destination point on their Greenland Quest. After traversing Greenland from the south to the northern tip, Yukon residents Devon McDiarmid and Derek Crowe, and British adventurer Adrian Hayes, have only 800 kilometres to go until they reach the end of their quest. McDiarmid is a partner at Icycle bike shop in Whitehorse and has frequently been a guide on voyages around the Antarctic. The idea for the Greenland crossing came up when McDiaramid was guiding Hayes around the South Pole. “Devon is one of those guys that you put a challenge in front of him and he just keeps plugging away at it,” Jonah Clark, also a partner at Icycle, said last week. Along with Hayes, the two Yukoners began their expedition in May at the Atlantic coast of the former Danish colony. They reached the Arctic coast July 5. The team completed the trip by kite-skiing, which uses four- to 14-metre kites to harness the wind and propel the skier forward. Kite skiing allows the team to bring 150-kilogram sleds containing 75 days’ worth of supplies, and complete the trip independent of outside support, one of their main goals. McDiarmid, Crowe and Hayes refer to their adventure as a sustainability quest. The team says on its website that they are trying to create a meaningful climate change and sustainability awareness project. In the past few weeks, they have taken samples of the ice, monitored the presence of wildlife and plants, and measured snow thickness and densities. Dragging the sleds behind them, the trio has kite-skied across glacial lakes, climbed over crevasses and up steep slopes while facing head-on winds. They faced the looming threat of polar bears, injury and unfavourable weather conditions. The team has documented their journey in an online blog at www.greenlandquest.com. Editor’s Note: This occasional series looks at powerful ideas — some existing, some futuristic — for fueling and electrifying modern life. The sky might literally be the limit for wind power — rotors spinning miles high could help supply electricity worldwide. All told, if wind turbines miles above the planet were tethered to 10 percent of the world’s land, there is enough energy in these jet stream winds to meet world demand 100 times over, researchers said. Jet streams are meandering belts of fast winds at altitudes between 20,000 and 50,000 feet. They shift seasonally, but are otherwise persistent features in the atmosphere. Jet stream winds are generally steadier and 10 times faster than wind near the ground, making them a potentially vast and dependable source of energy. But how to capture the wind so high? A number of technological schemes have been proposed to harvest energy from these high-altitude winds, including tethered, kite-like wind turbines lofted miles high. Up to 40 megawatts of electricity could be generated by current designs and transmitted to the ground via tether. Using 28 years of weather data, the researchers developed the first-ever global survey of high-altitude wind energy. “We found the highest wind power densities over Japan and eastern China, the eastern coast of the United States, southern Australia, and north eastern Africa,” said researcher Cristina Archer, an atmospheric scientist at California State University in Chico. These specific areas generate roughly 10 kilowatts per square meter or more. “This is unthinkable near the ground, where even the best locations have usually less than one kilowatt per square meter,” Archer added. The analysis also looked at some of the world’s largest cities: Tokyo, New York, Sao Paulo, Seoul and Mexico City. New York proved a prime location, as did the East Asian cities. Tokyo and Seoul also have high wind power density, as they are both affected by the East Asian jet stream. Since Mexico City and Sao Paulo are located at tropical latitudes, they are rarely affected by the polar jet streams and only occasionally by the weaker sub-tropical jets. As a result they see lower wind power densities than the other three cities. Another issue is whether implementing such devices on a wide scale could alter general air circulation patterns and thus impact local and global climate. Their simulations hint that if carried to unlikely extremes, blanketing the entire planet with such devices would cool the Earth’s surface, reduce precipitation and boost sea ice levels. However, if deployed at levels comparable to total global electricity demand, there seemed to be no detectable effect on the climate even after 70 years. Also, fluctuating wind strength still presents a challenge when it comes to exploiting this energy source on a large scale, just as it does on the ground. “While there is enough power in these high altitude winds to power all of modern civilization, at any specific location there are still times when the winds do not blow,” Caldeira said. Even over the best areas, the wind can be expected to fail about 5 percent of the time. 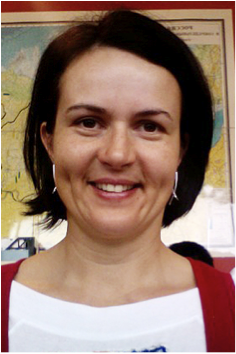 Archer and Caldeira detailed their findings online May 26 in the journal Energies. 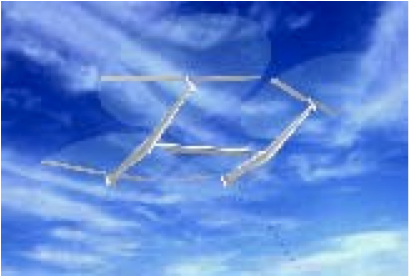 A Sky WindPower kite of turbines might capture wind energy with spinning rotors and send electricity to the ground through the wire that tethers it. At any moment, the winds in high-altitude jet streams hold roughly 100 times more energy than all the electricity being consumed on Earth, according to a study by Stanford environmental and climate scientists Cristina Archer and Ken Caldeira. To capture that energy, designers are dreaming up models of wind-turbine kites that fly so high, cruising airliners would have to steer around them. The tethered kites would float high enough for powerful jet streams to flow through their turbines more than 10 times faster than winds would flow near the ground. 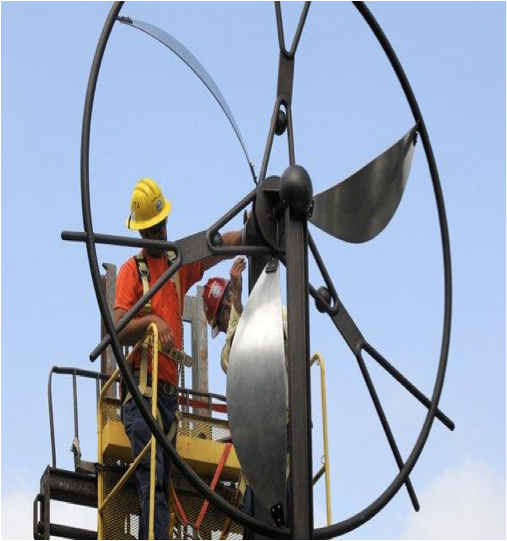 The spinning rotors of the kite turbines would convert the wind’s kinetic energy to electricity and send it back down the wire 30,000 feet to a distribution grid. Harnessing these high-flying currents could open up an effectively unlimited source of electricity, the researchers say. 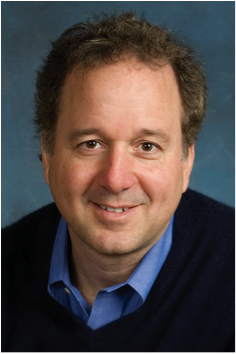 Kites may have the potential to be cost competitive, Caldeira said, and the study shows that the wind resource is huge and relatively reliable. The researchers reached this conclusion by analyzing 27 years of data from the National Center for Environmental Prediction and the European Centre for Medium-Range Weather Forecasts. By studying the distribution of wind power in the atmosphere, by location and time, they found that winds at altitudes around 32,000 feet have the highest wind power density. “The wind power density tells you how much wind energy would flow through a wind turbine,” Caldeira said. 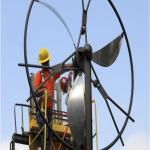 The researchers used the data to compile the first global survey of high-altitude wind energy. 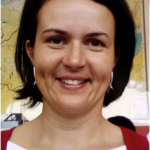 Archer is an assistant professor at Stanford University and California State University-Chico and Caldeira is an associate professor at Stanford and a researcher at the Carnegie Institution of Washington. Their findings were published in the journal Energies last month. High-altitude winds hold a huge energy potential waiting to be harnessed. 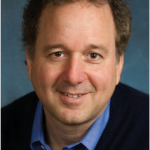 “If you tapped into 1 percent of the power in high-altitude winds, that would be enough to continuously power all civilization,” Caldeira said. In comparison, similar solar cells would cover roughly 100 times more area than a high-altitude wind turbine, he said. Archer and Caldeira found the highest wind densities over Japan, eastern China, the eastern coast of the United States, southern Australia and northeastern Africa. Included in the analysis were assessments of wind energy above the world’s five largest cities: Tokyo, New York, São Paulo, Seoul and Mexico City. “New York … has the highest average high-altitude wind power density of any U.S. city,” Archer said. Tokyo and Seoul also have high wind power density because they are both affected by the East Asian jet stream. Mexico City and São Paulo are located at tropical latitudes, so they are rarely affected by the polar and sub-tropical jet streams. As a result they have lower wind power densities than the other three cities. In order to capture the energy in these jet streams, manufacturers are developing a variety of kite turbines that convert kinetic energy in wind to electricity. 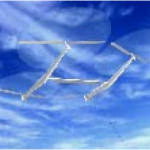 Manufacturer Sky WindPower designed a model consisting of a single tethered kite of four connected turbines, each with spinning rotors. The kite transfers the electricity back to a hub on the ground through its tether. Another model, being developed by Kite Gen, looks like a rotating carousel, based on the ground, with several kites tethered to it. Each kite’s flight pattern is controlled from the ground to capture the most wind, and as the kites circle in the air, they catch the wind and tug on their tethers. The tension triggers a pulley system that converts the energy of motion to electricity. Though sky-high currents offer huge potential, kite fliers face the challenge of a fluctuating wind. “While the winds at high altitude are much more consistent than the winds at the surface, they’re still not consistent enough,” Caldeira said. For example, if you flew a kite turbine in your backyard to power a house, at some times the wind would blow and at other times, it wouldn’t, he said. As a result, there would be gaps in the flow of electricity. Archer and Caldeira suggest a large-scale electrical grid to transfer excess energy to areas that have more demand than production. “Winds are always blowing somewhere, so if you had a large enough electrical transmission grid you could transmit the electricity from where it is blowing to where it isn’t blowing,” Caldeira said. Making batteries large enough to supplement the wind fluctuations seems improbable, and backup generators would be expensive, Caldeira explained. Another minor hurdle may be interference from airplanes. Manufacturers such as Sky WindPower and Kite Gen say that air traffic is not a huge problem. Kite users would simply need to obtain flight restrictions above their air space, just as nuclear power plants and refineries do. Sky WindPower also suggests that kites be flown in areas that are rural but not too far from the urban spots that the researchers identified as high-flow. Wind kites are not yet in use, but manufacturers predict that the cost of high-altitude wind power will range from 2 to 4 cents per kilowatt-hour. This entry was posted in 2009, Issue 67 (Jul/Aug), Kite Columns, KL Archive, News Reel and tagged world news.